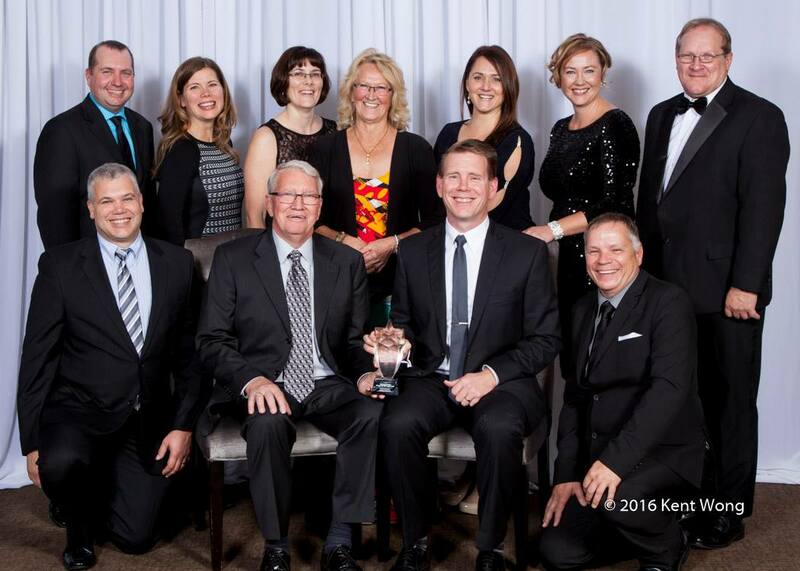 The year 2016 was an exciting one for Kelson Group as the company was honored, for the first time, with the prestigious Business of the Year award from the Kamloops Chamber of Commerce during its Business Excellence Awards in October. But the milestones didn't stop there as Kelson embarked on a "ground-up" build of its newest apartment complex, Peterson Landing, which will be completed and ready for occupancy in early 2018. Peterson Landing represents the first complete build of a rental property in its head office location of Kamloops, and will feature modern bachelor, one and two bedroom suites, located in the Sahali neighbourhood. Additionally, the company president, Ron Fawcett, along with his wife Rae, made a $1 million contribution to the Royal Inland Hospital Foundation for a Simulation Centre and Breast Health Centre, an unprecedented amount in the foundation's history. Also on the horizon are three additional building projects that will become apartment rentals in Surrey, BC, which are slated to begin in 2017 and 2018. Company vice president of operations Jason Fawcett says the property development opportunities are an aspect of business that Kelson Group has been working toward for several years. He explains progress has been thoughtful and steady with a focus on continually building and maintaining excellence across all rental apartment buildings it owns and manages in Western Canada. Kelson wasn't always an interprovincial operation. 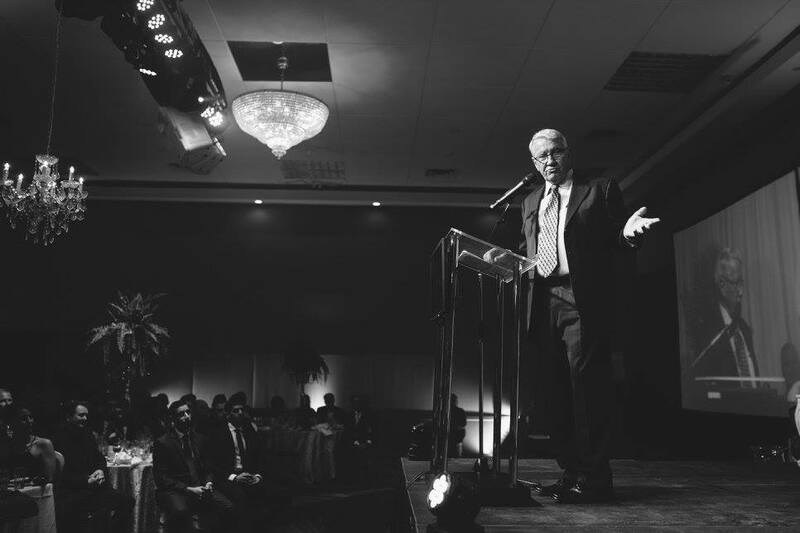 The company's start in the property management business began in 1974, when Ron Fawcett purchased and managed his first apartment building in Kamloops after 12 years of operating duplexes and four-plexes. As time went on, he expanded slowly, but kept things hands on just like it was with that first building. In 1990 Ron purchased a building in Prince George marking the company's first expansion in a market outside of Kamloops. Jason and brother, Kelly Fawcett, who now leads the building and maintenance division of Kelson Group, both remember being recruited as teens to help on Saturdays at the Kamloops properties, making deliveries, doing garbage pickups and counting coins from laundry facilities. In those early days operations stayed closer to home, and both boys went on to university to learn and build their careers. 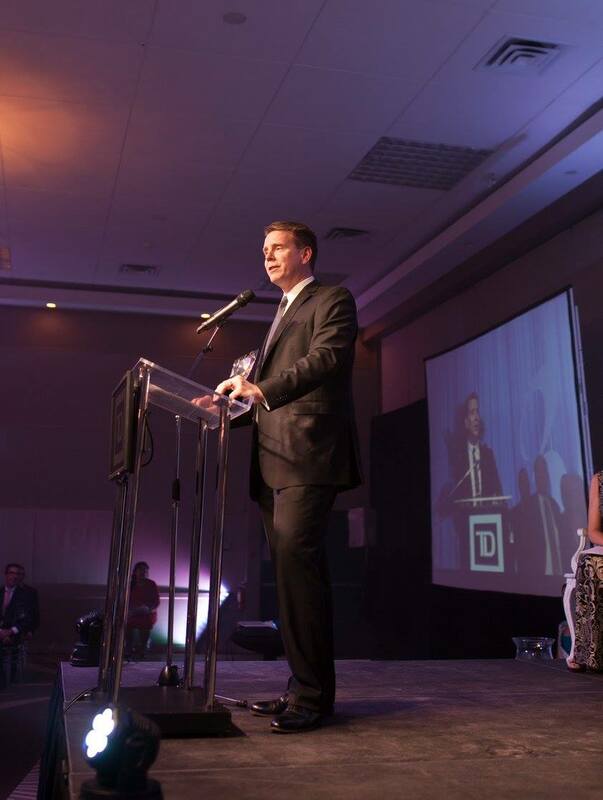 It was not until after completing his university degree and working within the real estate sector for several years that Jason made the decision to join the company in 1999 in the role of VP Operations, with Kelly coming years later in 2008 having built a career as a civil engineer prior to making the move to the family business. By then, Kelson Group had already expanded to the City of Edmonton (1993) and was managing two large apartment properties there. It added a third in 1998, and then expanded to other communities including Kelowna and the Fraser Valley in BC, and Grande Prairie, Leduc and Sherwood Park in Alberta. For more than a decade, Kelson Group has been members of professional associations for rental property owners and managers in BC and Alberta. Since 2011, Jason Fawcett has played a role on the board as a director on the LandLord BC board. In recent years, Kelson Group also took on some of its biggest engineering challenges at certain buildings, under the directon of Kelly Fawcett, including balcony restorations at a building in Edmonton and a parkade rebuild at another location in Kamloops. In addition, the company has renovated and improved hundreds of apartment suites every year to provide modern, comfortable homes to residents. Through the years, one of Kelson's top commitments to its residents has been to manage buildings that are clean, safe and comfortable places to call home, a commitment, which in the past month has taken on a greater profile. 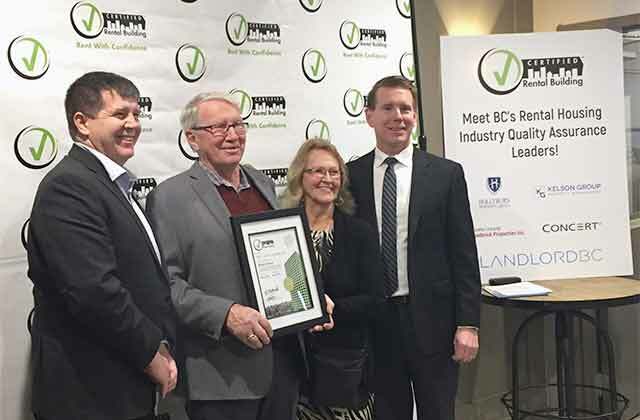 In November 2016, Kelson Group achieved successful audit results under a new Certified Rental Building Program in the province for its Fraser Valley properties, recognition that is measured and managed by LandLord BC. The company plans to certify all its buildings in BC over the next year. If you are interested in living in a Kelson Group managed property in your community contact one of our building managers today. All properties listed on our website include contact details for each of our managers. We look forward to speaking with you.